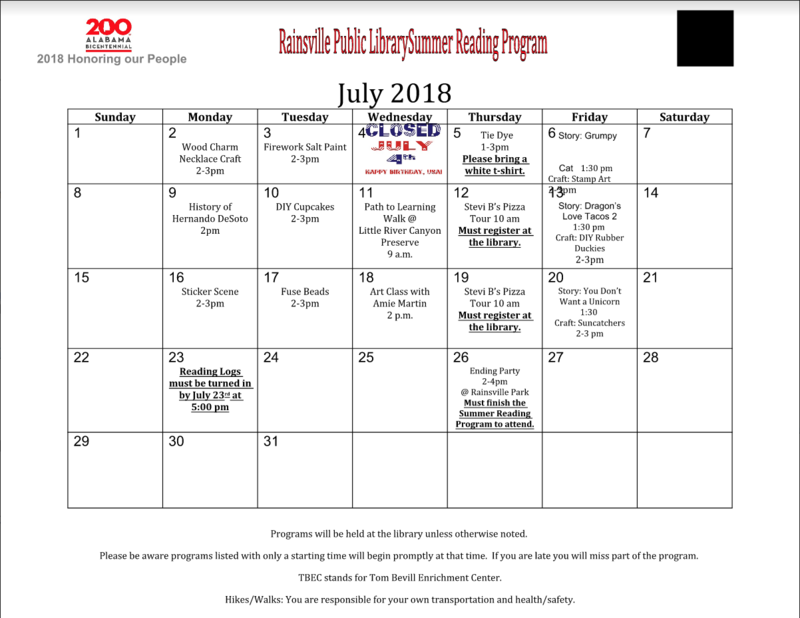 RAINSVILLE, Ala. — The Rainsville Public Library announced their Summer Reading Program for this year. It will begin on Tuesday, May 1 and run through Monday, June 4. This year’s theme is “Libraries Rock!” Children who have completed grades K-6 and live in DeKalb or Jackson counties are eligible to participate in this wonderful program. 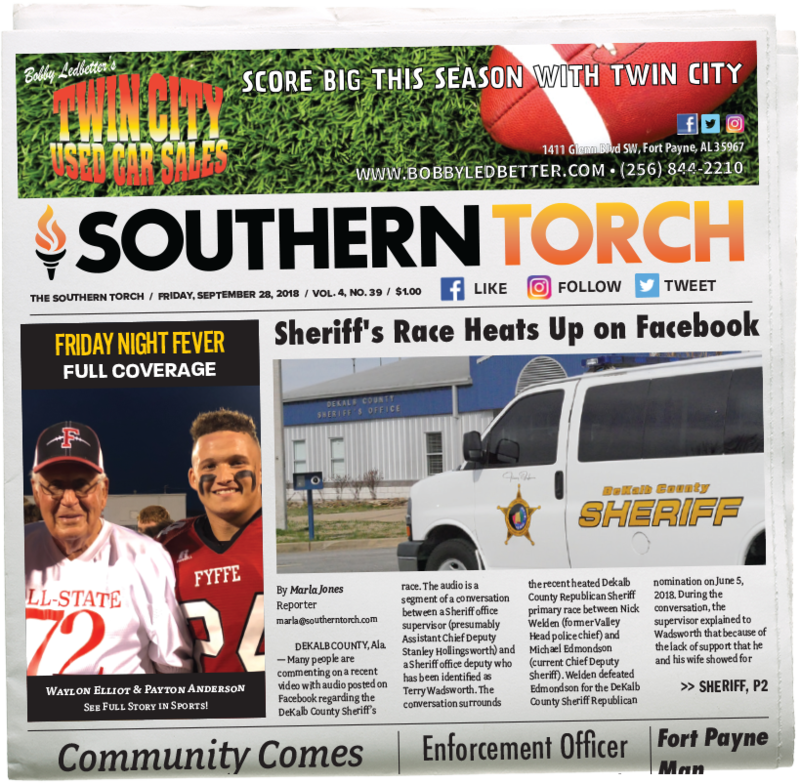 They will have several programs throughout the months of June and July, concluding with Awards Day and a pool party sponsored by Farmer’s Telecommunications and the City of Rainsville on July 26. All participants will have reading goals that they must meet to attend the ending party. 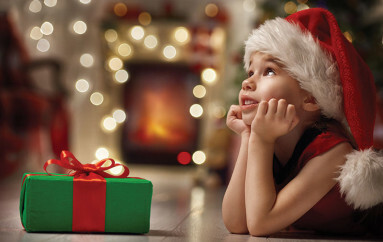 They will also have a pre-K reading program for children ages 2-5, a young adults program for ages 12-17, and an adult program for ages 18 and up. Please contact the library for more information. 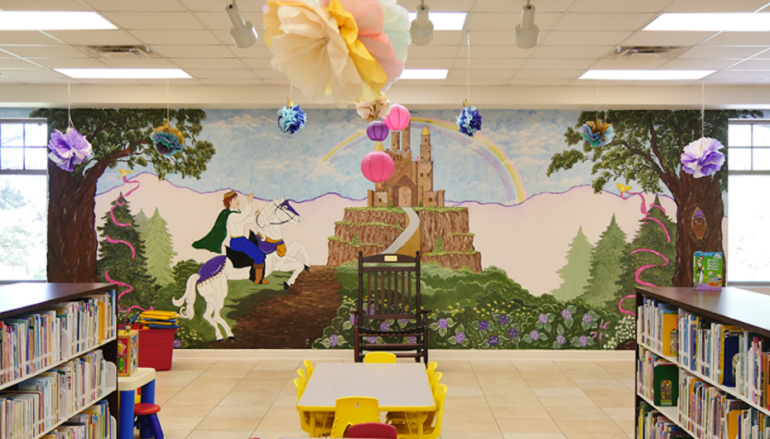 “We would like to thank our sponsors; without them, our Summer Reading Program would not be a success!” said Monica Smith, the Children’s Services Librarian. 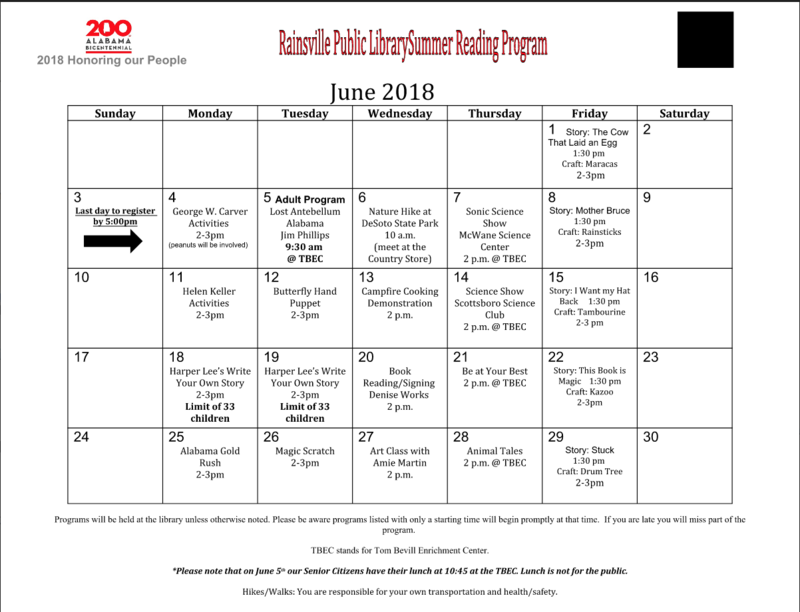 The 2018 Summer Reading Program will be sponsored by: Farmer’s Telecommunications Cooperative, the City of Rainsville, Wordsouth, Stevi B’s, Little River Canyon National Preserve, and DeSoto State Park. Look below for a full calendar of this summer’s events!